Let's talk about Monster Hunter, Capcom's action-RPG series where you, as the title states, hunt monsters. Monster Hunter began in 2004 on the PS2 and is still around to this day with the newest, Monster Hunter Double Cross, releasing in Japan in only a few weeks. But why am I writing this? Well, basically, I'm going to tell you why Monster Hunter is so good, and why you should give it a try. In this article I'll mostly be talking about Monster Hunter 4 Ultimate and Monster Hunter Generations, since the gameplay doesn't change much between games. 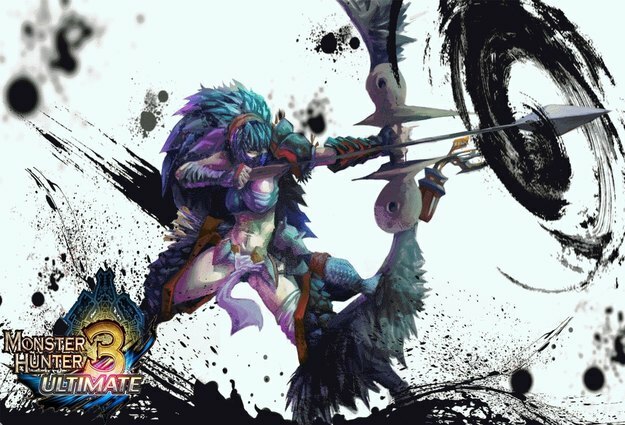 What's Monster Hunter all about? Well, simply put, hunting monsters; but there's so much more to it than that. Often people see the gameplay and assume that it's just a hack-and-slash game where you kill monsters, and those people couldn't be more wrong. 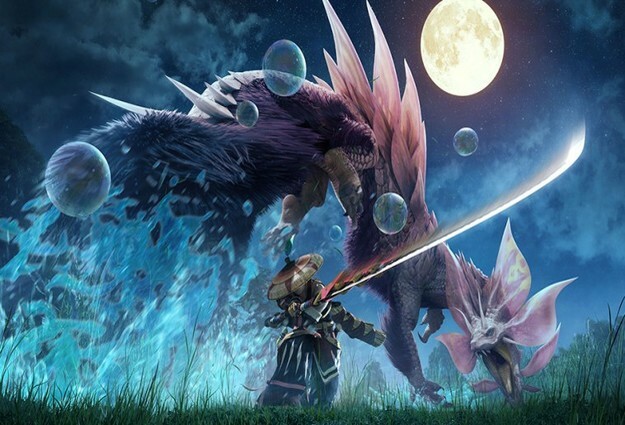 Grab any MH game right now and try to hack-and-slash your way through hunts, you won't get very far. Monster Hunter is largely about strategy. Every monster is unique, and has their own moves and personality. Only by paying attention to monster movements and learning how they fight can you succeed in hunts, but again, there's still so much more to it. Knowing when to roll, block, and run are only half the battle. What do you hunt monsters with? There's a ton of weapons to choose from in the games, and each plays differently. Finding a main can be hard, so I recommend that you play each one in a training mission to find your favorite. The weapons vary from dual daggers to greatswords to bowguns, and you'll need to approach battles differently based on the weapon you choose. Someone who uses a greatsword will want to stay close to the monsters, but may want to hold on and observe the monsters' moves first because they're slow, and one mistake can cost you the hunt. A bow main will want to learn the weak spots on the monster they're hunting so they can be the most effective, as aimlessly shooting arrows isn't very useful. A dual blade main can move fast and easily maneuver around a monster; but they don't do as much damage as someone with a hammer or greatsword does. Well if there's weapons then there's armor too, right? Of course there is! There's tons of armors, but only two types. This is one of the weakest categories in the game. The two types are blademaster and gunner, which are mostly self-explanatory. Blademaster armor is for people like longsword users, while gunner armor is for people who use gunlances or any ranged weapon. Gunner armour is far weaker than blademaster, so ranged users need to be extra cautious. You can also attach decorations to your armors and weapons, which can increase your affinity in certain aspects, as well as add resistance to some status effects and such. What else is there that can be customized in the games? Well, other than the player's character, the final important customizable part is Palicoes, your kitty-cat buddies. Palicoes are customizable cats that you can give weapons, armor, and skills, and they will join you in single-player missions. You can set up their style, from bombing to healing, and you can also choose their attack priority, from large monster first to anything. If you're playing Monster Hunter Generations or Monster Hunter Double Cross there's also prowler mode, which lets the player take control of a Palico and go on hunts. Prowlers have three lives before they return to base, and charge up a meter when fighting. This meter lets them use the skills you set up, and is essential for completing hunts as a prowler. Prowler mode is much more tame and forgiving than the main gameplay, and is mostly intended for those who aren't very good at the game or are just new. Alright, I get what you're saying about the gear and stuff, but how do I get good items? How do I level up? This is one of the best things about Monster Hunter; there's no leveling up. Your stats are based entirely on your gear, which you craft using parts you carve off of the monsters you kill. But gear isn't everything; too often I encounter people with modded gear who get destroyed and wonder why. Even with the highest ranking gear in the game, it's still about strategy. There's no substitute for a hunter's mind. 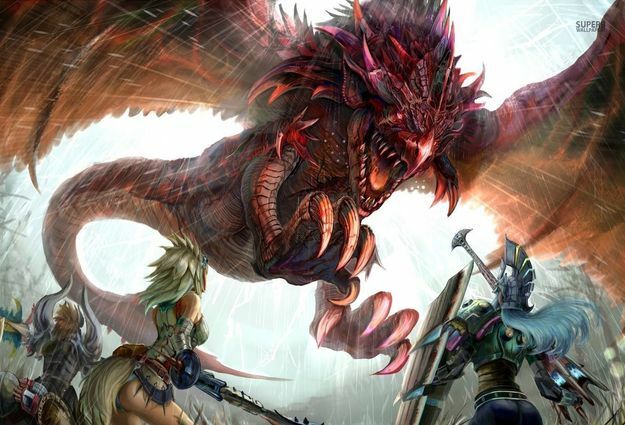 Interested in trying Monster Hunter, but not sure where to begin? There's a lot of games, and they tend to be overwhelming for new players. I'd really recommend Monster Hunter 4 Ultimate as a starting point for people, as it does the best out of every game in the series to give a tutorial and teach the mechanics and styles of the game. There's more to the game that I haven't said here that you will learn if you give the game a try, such as mounting monsters, online co-op hunts, and G-Rank hunts. I implore you, go try one of the Monster Hunter games. You won't regret it. It's frustrating at times, but it's also the most rewarding game I've ever played. It rewards skill and punishes those who don't pay attention. Every mistake is entirely the player's fault, and that's fantastic. The music isn't anything particularly special, but when you encounter a huge monster and the music shifts to intense battle tunes, it feels good and helps set the mood. I really can't sing enough praises for this series, it's one of the best I've every played. I hope I have given you some incentive to go try Monster Hunter. Happy hunting!